Studies show it’s far less expensive to reactive an inactive patient than it is to generate a new patient. Bring back your inactive patients with this effective three step system. 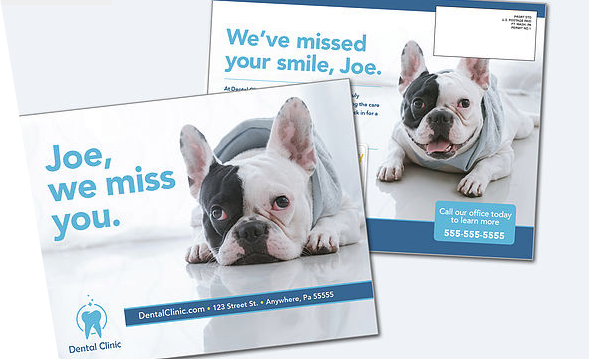 Send your patients a friendly reminder that you miss them. Did you know that 78% of smartphone users check their phone within 15 minutes of waking up? You want to be there with a gentle reminder that you miss them as a patient. Reach your inactive patients with a giant direct mail piece that’s delivered flat and commands attention in the mailbox. Each huge mailer is addressed directly to your inactive patient by name and it cannot be unseen. 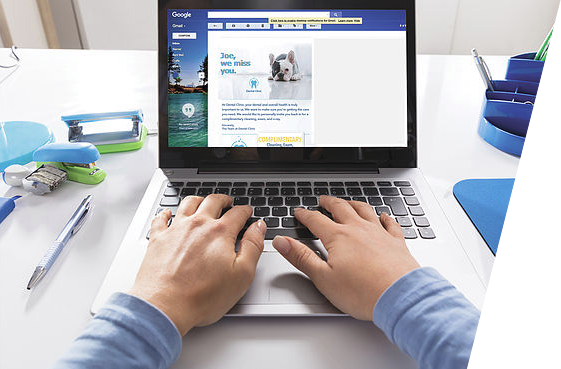 Reaching each of your reactivation patients with more than one format is essential. 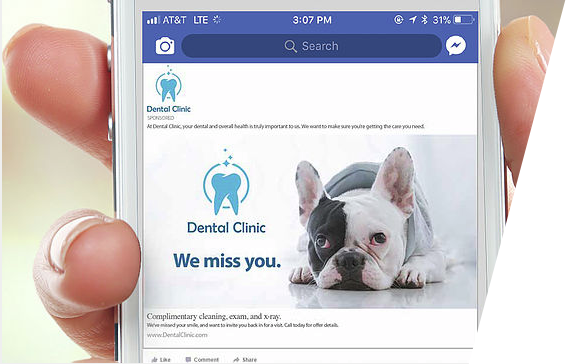 The Multi-Channel Patient Reactivation Program adds personalized emails alongside the giant mailers and Facebook touch points to provide the most comprehensive program in dentistry that brings patients back. Ready to bring back your patients? For as little as $5 per patient, you can start your Multi-channel Patient Reactivation program today.